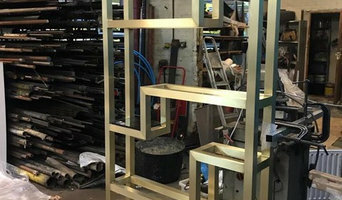 All Metal Solutions Ltd is an established and well recognised steel fabrication business based in Welwyn Garden City, covering Hertfordshire, London and surrounding areas for both new build and building maintenance. We offer highly skilled steel fabrication and site installation services for a wide range of products ranging from Structural Steelwork to Architectural Metalwork. Our projects range from complete structural frames to steel beams; metal staircases and staircase balustrades, gates and architectural metal railings to loose steels. We are prepared to consider any type of steel structure for both industrial and consumer use as our portfolio is very wide. Our Architectural Metalwork can be supplied in mild steel or stainless as well as differing finishes. We also utilise glass in many of our balustrades and canopies. We can accommodate the most demanding requirement and ,if required, our on site fitting team are available to ensure that our products are perfectly fitted. 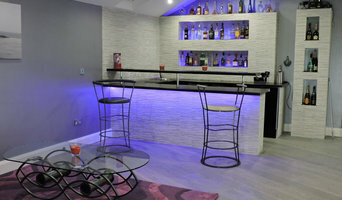 However, although we can cater for large jobs we are small enough to care for our clients on a one to one basis. Just contact us to find out more about what our team can do for you. I’m a artist blacksmith, my office is in Abbots Langley, just north of Watford in Hertfordshire. I mainly work in a forge in Bushey, just to the south of Watford, also in Hertfordshire. I will make anything that involves forged / hot metal. Exterior things Sculptures, gates, railings. Kitchen I make kitchen knives and chefs’ knives, often from recycled steel, such as reclaimed car springs, truck springs, files & fork lift tines. Why should I hire a Grange Hill, Essex blacksmith or metal worker? If you dream of elaborate iron gates and railings surrounding your property, or a beautiful Juliet balcony or outdoor iron balustrades, then it’s essential to hire wrought iron workers that can create and install these beautiful structures professionally. 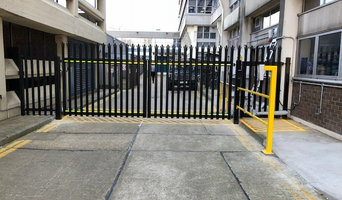 If you want to save a little and not go for hand-crafted, blacksmith-made pieces, you’ll still be able to find Grange Hill, Essex metal fabricators that create railings and gates in bulk in a number of styles that will fit with your house design. 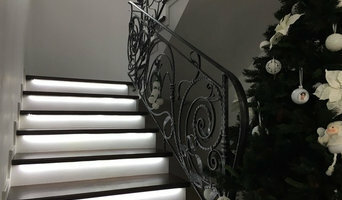 Talk to an ironwork professional or blacksmith in Grange Hill, Essex from Houzz to see what wrought iron work or metal pieces they can create or install in your home. Here are some related professionals and vendors to complement the work of wrought iron workers: Fencing & Gates, Decks, Patios, Sheds & Summerhouses, Cladding & Exterior Contractors. Questions to ask a Grange Hill, Essex blacksmith or metal worker? Find an ironworker or blacksmith on Houzz. Narrow your search in the Professionals section of the website to Grange Hill, Essex blacksmiths and ironworkers. 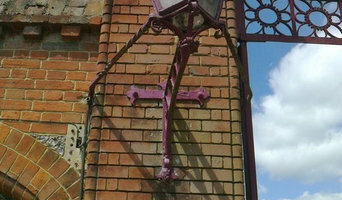 You can also look through Grange Hill, Essex photos to find examples of ironwork that you like, such as iron gates or railings, then contact the metal worker who fabricated them.